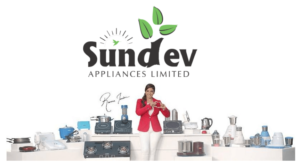 Desire appliances brand is led by passion and enthusiasm by The Sundev Group, a leading OEM supplier for major brands which is in operations in 20 states, backed by 300 strong workforce. A brand known for its innovative range, reliability and high-quality standard offers you world class quality products ‘Made in India. Made for the world.’ It provides lifetime service through SERVICEMAN at 250+ service locations with more than ten million satisfied customers in 10 years. Famous actress, a loving mother and an ideal homemaker, Raveena Tandon makes no compromise when it comes to food and health. She selects the best cooking appliances because she knows Good food is the only way to win her family’s heart. Ideas aur service Jo mera dil jeeten. Transforming cooking in India, Desire brings you a wide cooking range which is easy to operate. Induction Stoves are 30% cheaper than conventional ones and its gas stove with direct heat technology saves up to 30% gas. The electrical rice cooker with auto cooking cycle and roti maker with non stick heater plate from Desire makes your meals yummier. By offering the best standards, Desire enriches your life with choice of stainless gas stoves, glass top gas stoves, electric pressure cooker, food steamers etc. Boil it, saute it or fry it, Desire offers the widest range of cooking accessories. Be it the pressure cooker or high temperature resistant non-stick cookware, these accessories offer premium safety and easy handling. Make your kitchen stylish with cooking accessories from Desire like three layered non-stick cookware, stainless steel cookware with bakelite handle, induction ready pressure cooker. With designs that are build to last, the Kettle range from Desire has striking good looks, is quiet and Energy efficient. It has features like auto shut off, concealed heating and cordless control that make it stand out from the other kettles in the market. Get the Kettle range from Desire, and get a multipurpose edge. Desire offer a range of mixer grinders, juicer mixers, hand blenders and wet grinders that make your kitchen duties easier. With longer life, energy-saving features and low noise operation, the speed and durability of the motors is one of the best in the market. Mixer grinder with 100% copper motor for less heating, perfect for water – less grinding and low noise anti rust hand blender. The toaster range from Desire is simple to use and gets good results. Features include non-stick plate, perfect for sandwich grilling, anti-skid legs and autopop up among others. With their eye-catching designs, this range adds a touch of glamour to your breakfast time. From Desire are the right gadgets for emergency or any general-purpose lightning application. Its long-life Indian battery is ideal for places that face frequent power shortages. It is solar chargeable and has 360° light illumination range making it the best emergency lamp in the market. Get the best room cooling solutions from Desire that create a far and wide airflow. The aerodynamically designed blades of this range provide maximum air moving efficiency. Available in elegant designs, this range from Desire will add a spark to your home. Ceiling fans, table fans and smart and modern tower fans which fits into all homes and offices. Desire’s water heating range is a must-have for any household with fire retardant wires. With a wide variety to choose from, now get rejuvenated anytime at the flick of a button. Heating solutions with extra long life, hydraulically tested with ISI certified stem type thermostats are some of the features of this range. The high-quality Dry and Steam Iron is designed to iron clothes in a simple and effective way. Its smooth aluminum sole plate leaves no marks on cloths. With multiple temperature levels, it can be used to iron any kind of material. Please do get in touch with us for all your promotional branded home appliances requirements.